As a popular destination for both US and foreign travelers, Miami International Airport is a hub for tourists in the southeastern United States. Founded in 1928, MIA is now the 3rd most popular destination for foreign passengers in the US and attracts vacationers from all over the United States. Just minutes from downtown Miami and the white sandy beaches along the Atlantic, tourists arrive craving the tropical vibes and excitement of Miami. MIA, featuring a variety of fun restaurants and shopping venues, delivers these tropical vibes to travelers from start to finish. Here to show off the best of the best at MIA, InMotion has revisited our Miami airport guide to help you make the most of your travels. So sit back, grab a tropical drink, and prepare for a relaxing adventure through Miami International Airport. It’s 5 o’clock somewhere, right? After a long flight or in the midst of a layover, take time to unwind by sipping on something tropical at Air Margaritaville. 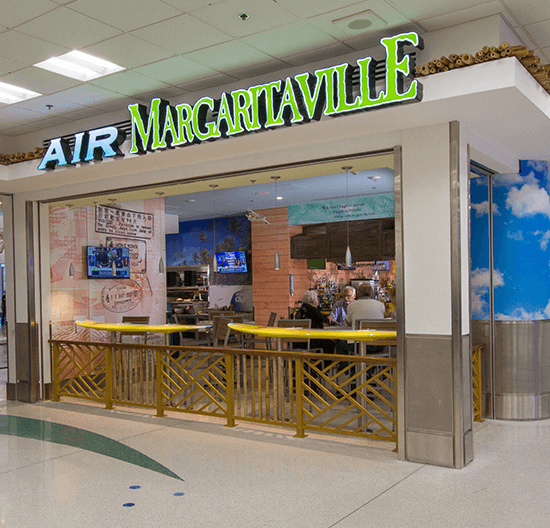 Located in Terminal E before the checkpoint on the second level, Air Margaritaville is the perfect family-friendly stop for grabbing a quick bite to eat or getting your first taste of relaxation. In addition to both a full breakfast and lunch & dinner menu that features classic burgers, coconut shrimp, fish tacos, and more, Air Margaritaville has an unbeatable drink menu. Whether you’re craving one of their nine flavors of specialty margaritas, bloody marys, or bellinis, Air Margarita is ready to help you sip on something tropical the moment you arrive. Nothing gets in the way of a relaxing vacation quite like having to worry about a dying mobile device. Keep your battery charged while flying, at the beach, or while exploring downtown Miami with the help of the mophie Powerstation PD XL Portable Battery. The mophie Powerstation PD XL Portable Battery is the perfect portable charger to bring along for every adventure in Miami to make sure you’re always connected with family and friends. This 10,050mAh portable charger can charge up to two devices at once from USB-C and USB-A ports. 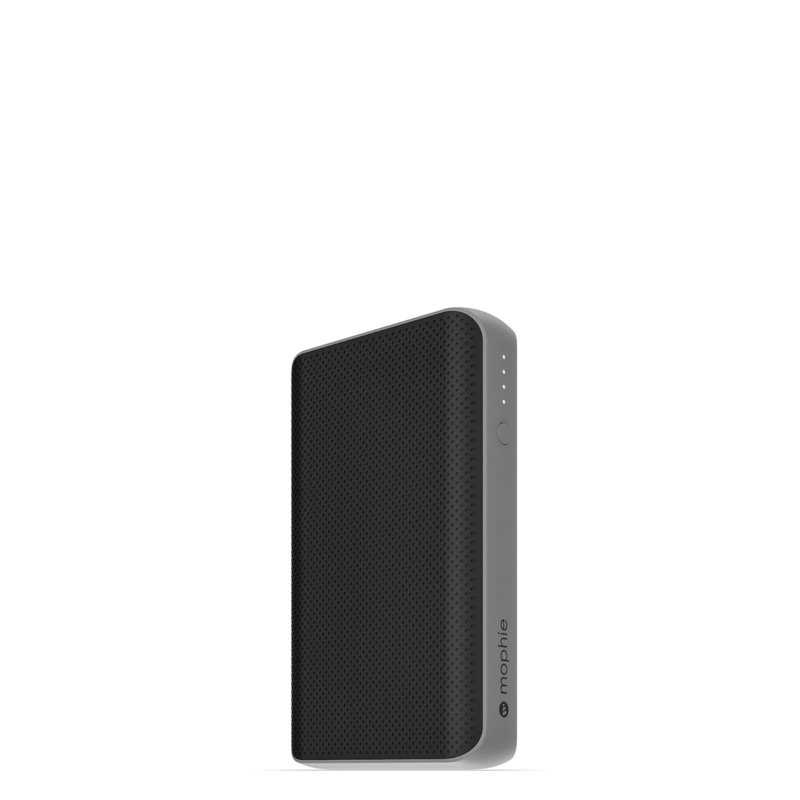 Working up to 2.5 times faster than a standard charger and equipped with priority charging while plugged into the wall, the mophie Powerstation PD XL Portable Battery is the convenient, must-have travel companion that allows phone battery stress to roll right off your shoulders. Available at InMotion, stop in to get one to keep your travels worry free. As one of the most famous surf shops in the United States, Ron Jon Surf Shop carries all of your must-haves for reaching the beach as soon as possible. 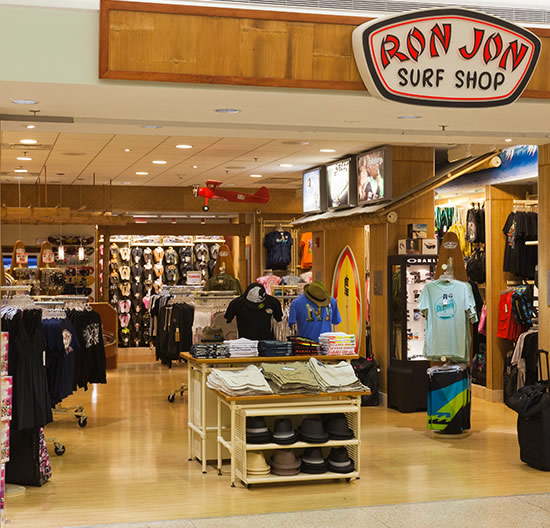 As a retailer of apparel, surf, and skate accessories from top brands, Ron Jon Surf Shop attracts travelers to stop in for all their last-minute vacation needs at their 2nd level Terminal G location. Before hitting the beach, stop in to grab some tropical-inspired t-shirts, a new swimsuit, or the surf accessories you need to hang loose in the crystal clear Miami water. If you’re just dropping in on a layover, be sure to check out Ron Jon’s collection of fun souvenirs, apparel, and classic branded items to take home to friends and family. Kicking your feet up on the warm Miami sands for a day of sun and relaxation is just what the doctor ordered. Take your vacation to the next level by grabbing a pair of Sennheiser Momentum True Wireless Touch Control Earbuds at InMotion. The sleek and powerful headphones are the perfect travel companion, delivering you up to 12 hours of battery life on a full charge. 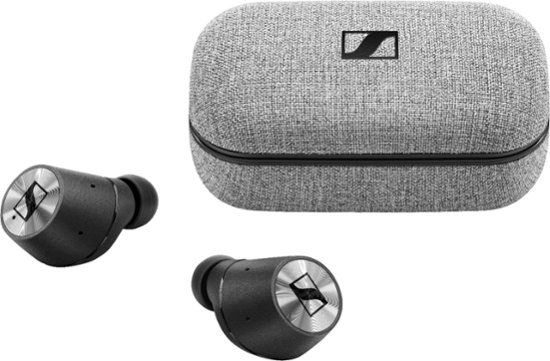 The Sennheiser Momentum True Wireless Touch Control Earbuds feature dual-mic noise-canceling technology that allows you to experience ultimate bliss, blocking out extraneous noise. Great for leaving your beach chair for a quick dip, the Sennheiser Momentum True Wireless Touch Control Earbuds are splash resistant, comfortable, and designed to stay in place with four different ergonomic ear tips to choose from. Not only are these earbuds powerful, but the sleek, shiny design and convenient carrying case make them the perfect choice for someone in need of some serious relaxation in Miami. Nothing gets in the way of a relaxed state of mind quite like realizing you forgot a vital piece of tech for your trip. Whether you’ve left behind your charger, your favorite pair of headphones, or need a travel SIM to stay in touch with family, InMotion has all your tech needs while traveling covered. 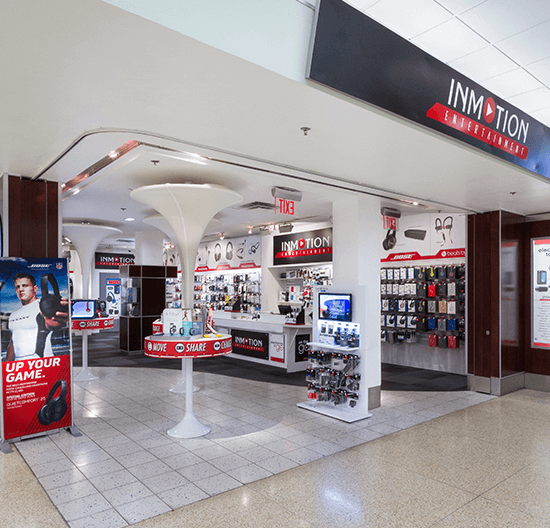 With locations all throughout MIA, InMotion carries an expansive supply of tech from the brands you love, including Beats by Dr. Dre, Bose, Apple, Sony, and many more. 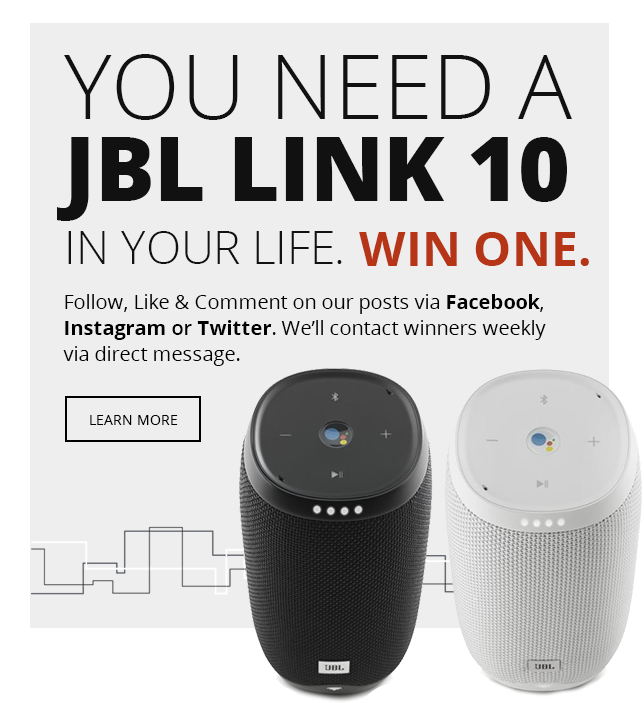 With so many options for great technology, it can be hard to make a decision on the perfect pair of headphones, which is why our expert associates are available with a great amount of product knowledge and can provide you with a free demo of any of our headphones. Working every day with customer service in mind, InMotion is there to free your mind of the stress from forgetting a vital piece of tech for your vacation. One of our most popular items - due to travelers frequently forgetting a phone charger - is the Ventev ChargeSync Alloy Lightning Cable. The Ventev ChargeSync Alloy Lightning Cable is the lightning cable designed with both style and durability in mind. The premium braided cable combined with a sleek aluminum housing allows the Ventev ChargeSync Alloy Lightning Cable to stand up to wear and tear through every adventure. 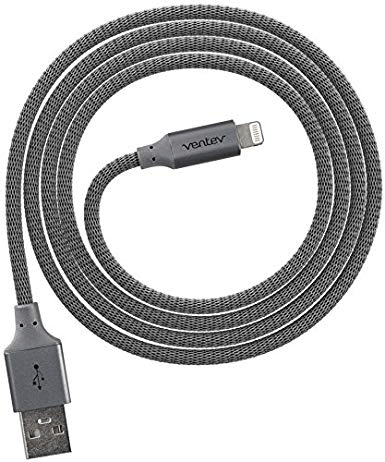 Available at InMotion in either 4ft or 10ft lengths, the Ventev ChargeSync Alloy Lightning Cable is the perfect lightning cable to grab as you pass through the airport for your vacation. Traveling through the 3rd most popular US airport for international travelers - Miami International Airport - you’re traveling through an exciting hub for tourists and vacationers. While traveling, stop by InMotion for all your travel tech needs and expert advice from our associates on the best tech for you.